On June 23, the Centers for Medicare & Medicaid Services (CMS) published its long-awaited final rule (Final Rule) creating a market-based reimbursement system for payment for clinical laboratory testing services under the Medicare Clinical Laboratory Fee Schedule (CLFS). This major effort to update and modernize the CLFS was required by the Protecting Access to Medicare Act (PAMA), enacted on April 1, 2014. The Final Rule requires “applicable laboratories” to collect and report to CMS “applicable information” regarding private payor payment rates and test volumes for clinical laboratory tests collected during defined data collection periods. CMS will then use this data to calculate market-based prices for tests on the CLFS (using weighted medians), which will be updated every three years for most tests and annually for Advanced Diagnostic Laboratory Tests (ADLTs). “New ADLTs” (those that have not received payment on the CLFS prior to January 1, 2018) receive premium pricing based on actual list charge for the first three quarters the test is offered in an effort to recognize their uniqueness and the resources expended by laboratories to develop them. Due to the delayed release of the Final Rule, its implementation will be delayed one year until 2018. Laboratories subject to the law will need to begin collecting required data in 2016. Initial reporting to CMS will begin in 2017 and the new market-based payment rates will take effect January 1, 2018. Applicable laboratories that must report are those that receive more than 50 percent of their Medicare revenues from the CLFS or Physician Fee Schedule (PFS) during a defined data collection period based on National Provider Identifier (NPI) rather than Taxpayer Identification Number (TIN). The TIN will still be used to define the “reporting entity” that submits and certifies applicable information to CMS and is subject to Civil Money Penalties (CMPs) for reporting violations. Hospital outreach laboratories may now qualify as applicable laboratories. The low expenditure threshold for exemption from reporting now applies to laboratories receiving less than $12,500 in Medicare revenues paid under the CLFS over a six-month data collection period (subject to an exception for single laboratories offering and furnishing ADLTs). Applicable information includes patient cost sharing amounts and price concessions offered to private payors (but not those offered by laboratories themselves). “Final payments” subject to reporting do not include denied claims or claims still under appeal. The data collection period for most tests is now six months (rather than one year), running from January 1 – June 30 of each year. The data reporting period is January 1 – March 31 of the following year, giving laboratories six months to prepare data and IT systems for proper reporting. Laboratories must initially report data for New ADLTs by the end of the second quarter of the premium payment period. For existing tests that were paid on the CLFS before implementation of PAMA, any reduction in payment amount will be phased in over a six-year period (with annual reductions limited to a maximum of 10 percent for years 2018-20 and 15 percent for years 2021-23). Protein-only based tests are now included in the definition of ADLTs. 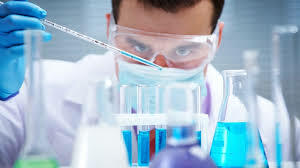 ADLTs are laboratory tests covered under Medicare Part B that are offered and furnished only by a single laboratory, not sold for use by a laboratory other than the original developing laboratory (or a successor owner), and are either an analysis of multiple biomarkers of DNA, RNA or proteins combined with a unique algorithm to yield a single patient-specific result, or tests cleared or approved by the FDA. New ADLTs (those not paid on the CLFS before January 1, 2018) will by paid the test’s actual list charge for three quarters beginning on the first day of the first full calendar quarter following the later of the date that CMS determines Medicare Part B coverage or grants ADLT status. Thereafter, payment will be based on PAMA’s weighted median methodology. ADLTs furnished between April 1, 2014 and December 31, 2017, will be priced and paid using CMS’ crosswalking and gapfilling methods. CMS will recoup the difference between the actual list charge and 130 percent of the weighted median private payer rate if a New ADLT’s actual list charge is subsequently determined to be greater than 130 percent of the weighted median private payor rate determined under PAMA. CMPs of up to $10,000 per day may apply for each failure to report or each misrepresentation or omission in reporting private payor prices for laboratory tests. CMS will issue future guidance regarding application of Medicare Part B drug pricing rules to PAMA laboratory reporting. Data submitted when applying for ADLT status does not receive special confidentiality protections unless the trade secret exception to the federal Freedom of Information Act can be satisfied. Temporary G codes will be used to identify New ADLTs and new laboratory tests cleared or approved by the Food and Drug Administration until permanent Healthcare Common Procedure Coding System codes are established.